Whether you're at an airport or a coffee shop, or you’re in Hong Kong, Paris, London, Barcelona, California, Moscow etc, you’ll be able to check the security status of your home or business from any computer or iPhone in the world that has an internet connection. 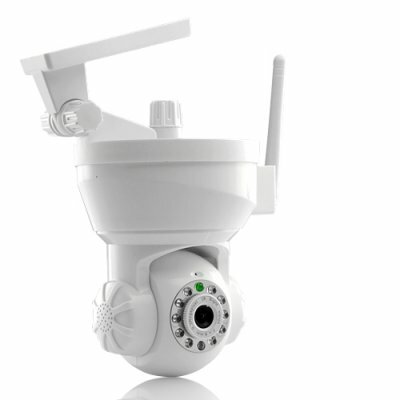 The WiFi feature on this global security camera with motion detection recording comes with a CMOS 1/4 inch sensor for providing you with a high quality image for over the web viewing and supports TCP/IP, DHCP, SMTP, TP, DDNS, UPNP network protocols. Устройство работает хорошо. Можно сделать чтобы на email приходили снимки от детектора движения. По wi-fi подключается к роутеру из другой комнаты. The device works well. It is possible to make that on email pictures from the movement detector came. On wi-fi it is connected to a router from other room.